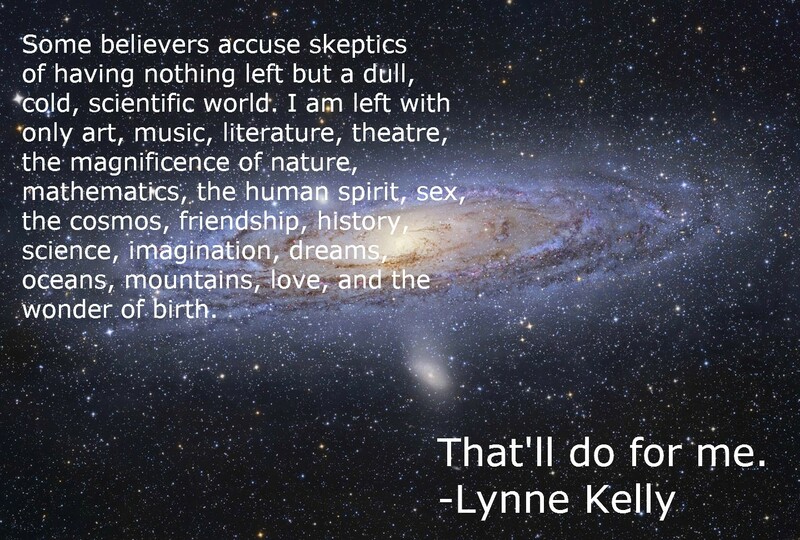 Australian author Lynne Kelly sure sums it up nicely. She only made one major oversight…she forgot to put coffee in her phrase to make it perfect. I love this! And I agree with the coffee thing! Being an atheist caffeine-addict is really a lot more fun than people make it out to be! Yes, yes, these poor atheists, how much do I pity them. They have the wonderful bright moon as nothing more than cold sand and rock, while we all know that it is made out of cheese.